With USAA you can get cash back after buying or selling your home. 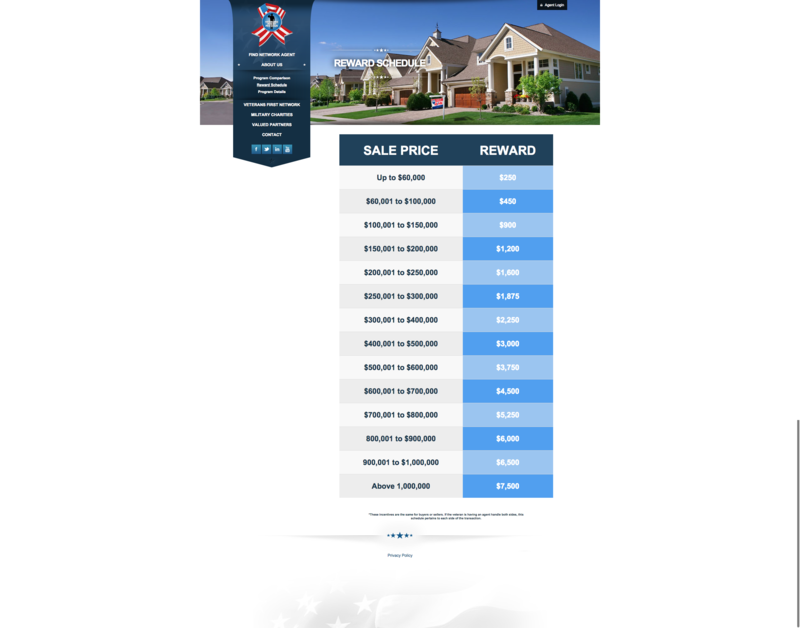 Up to $3100 cash back when you buy and sell a home through the program. Monitors your agent’s performance to ensure your needs are met. In most states, get up to $1,550 when you buy or sell your home through MoversAdvantage. Receive up to $3,100 when you do both. Only a select group of top brokers earn the right to become a MoversAdvantage Preferred Real Estate Company. USAA offers its members a complete line of exclusive services to finance and protect their homes. 1 MoversAdvantage® is offered by USAA Relocations Services, Inc., a licensed real estate broker and subsidiary of USAA Federal Savings Bank. Program not available for real estate transactions in Iowa or outside the U.S. This is not a solicitation if you are already represented by a real estate broker. Some states limit the ability to pay a cash bonus. Bonus amount varies from $350-$1,550 depending on sale price of home sold or purchased, and you must be represented by the assigned MoversAdvantage real estate firm at closing to qualify. Use of the term “member” does not convey any legal rights, eligibility rights for USAA property and casualty insurance, or ownership rights in United Services Automobile Association. Also for other VET we have Navy Federal this works like USAA But for First time Home Buyers. Navy Federal can pay you more back in some cases. Only one program can be used at one time. We know purchasing your first home is a big deal. That’s why we offer personalized service and guidance every step of the way—from first call to closing, seven days a week. And for a limited time, you can save even more with special incentives for first-time homebuyers! You’ll get extra savings on top of our 100% financing and super-low rates. Rate match3—if you find a better rate somewhere else, we’ll match it! If we can’t, we’ll pay you $250! Get pre-approved so you can house-hunt with confidence. Learn valuable tips during free home-buying seminars. 1Limited-time offer effective April 15, 2011, and may end at any time. Available for new applications on first mortgage purchase loans only. Certain product exclusions may apply. The Visa Prepaid Loyalty Card will be mailed to you within 2 weeks after your loan closes with Navy Federal. One offer per household. 2Cash rebates from $400 to $5,050 are available in most states. You must be represented by the assigned RealtyPlus real estate firm at closing to qualify. Contact RealtyPlus for terms and conditions. 3Limited-time offer available for purchase and refinance first mortgages. Certain product exclusions may apply. Good Faith Estimate (GFE) and Truth in Lending Disclosure (TIL) from competing lender must be dated and received within 3 calendar days of locking interest rate at Navy Federal. The terms of the competing loan must be identical to Navy Federal’s loan. If the loan does not close within the commitment period, the rate match may be voided. To receive $250, member must provide a signed, executed copy of the final HUD-1 Settlement Statement and a copy of the mortgage note within 30 calendar days of loan closing with another lender. Offer not valid if original loan terms or conditions change prior to closing. Once approved, $250 will be automatically deposited into member’s Navy Federal account within 30 calendar days of receiving the necessary documentation. The following are some post from people that have used these two programs. 2) USAA Counselors were engaged on a regular but not overbearing basis; the agents assigned to us were very professional, knowledgeable and proactive in helping us sell our home. USAA’s counselor assigned to us called us every few months and we felt confident that she was available if we ever had any concerns about the sale of our home. The cash we received back was a great perk of the program, but the entire experience will bring us back when we are ready to buy again. Thx USAA. 3)If you’re going to sell your home, want or need to use an agent, and don’t have corporate relocation benefits to cover the agent expense, use this program. The agents typically deal with a lot of military relocating families, so the best part is that you get a national set of customers, not just local ones. My agent was absolutely fantastic in the Austin, TX area. You get the same service and benefits as going directly to the agent, but you get a rebate on the commission. It really doesn’t get much better than that. My only concern would be that they didn’t have the program in Iowa – where I relocated to. Most likely some local Iowa law from the stone ages preventing that – I have found in my recent transaction that real estate in Iowa is like going back to the 1950’s when dealing with transactions – I had to educate the local title lawyer and agents about duplex conversion, but that’s another issue, USAA Mover’s Advantage was excellent! 4)I’ve been with USAA for many years and had come to expect the quality customer service. My agent in Chicago, Fran H., has provided outstanding service. I have been looking for a house for a year. Seriously. An entire year. Not once did she ever make me feel as though I was wasting her time. She made me feel like a valued client and a friend. She was responsive, available and incredibly personable. She was very knowledgable about the Chi market and helped me find a wonderful home. In addition, the Movers Advantage team at USAA checked in with me regularly and was available to answer any questions I had. I highly recommend this program. The cash bonus is nice, but the quality service you receive is the most value. 5) My Realtor (Kathy from Coldwell Banker) told me about this program and it sounded too good to be true. Let me tell you it is THAT good. No word of a lie. It’s a program that makes sure that your Realtor is legit, and then gives you money when you close. Seriously I do not know how USAA is turning a profit off of this because it’s got to be bad for the bottom line … but it is a truly awesome thing to do for your members. 5 Star World-Class Program. 6) My wife and I just purchased our first home and USAA Movers’ Advantage was there every step of the way. Within just a few minutes of setting up a MA account, a local realtor contacted us and began showing us several homes the next week. USAA called every couple of weeks to ensure things were going smoothly. They answered all my questions and really helped us out as first time home buyers. There are Hundreds of replies like these on the USAA website. Don’t buy or sell your next how with out letting your Realtor give you a gift back at the end with the USAA AND the Navy Federal cash back program.